The temperature’s hotting up and it’s starting to feel like Spring! However, it’s not quite warm enough yet to don our sunhats, grab a book and spend afternoons lazing in the garden. There are probably still a couple of months to go until we get there! So, with that in mind, we wanted to show how you can bring the outside inside! 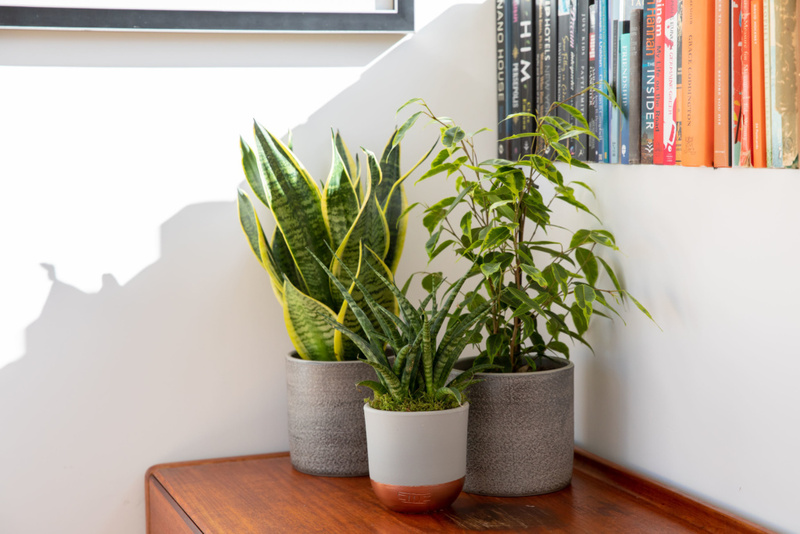 There are a number of plants that will give you those garden vibes in your home. Below we are going to cover some of our top picks to create this look, and also some tips on how to style them. 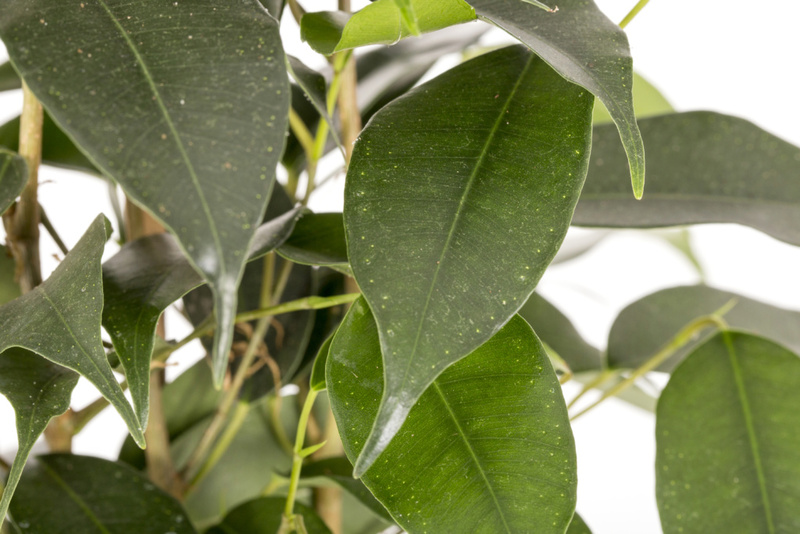 The Ficus Benjamina is also known as the Weeping Fig thanks to the shape of its leaves. They are a beautiful shiny green that taper down to a point, drooping down rather elegantly! It has so many leaves, making it an absolutely perfect feature plant. It is fantastic for offices, homes and shopping centres. This is because it is relatively easy to look after and, rather brilliantly, has air-purifying qualities. In warmer countries it can grow to huge heights outdoors, but unless you live in a greenhouse, sadly we don’t quite have the temperatures for that here in the UK! However, the good news is this means that it will thrive indoors, which is why it is top of our list. Just make sure you keep it away from radiators and draughty spaces. Otherwise, it may give you a warning signal that it isn’t happy by dropping some of its leaves! 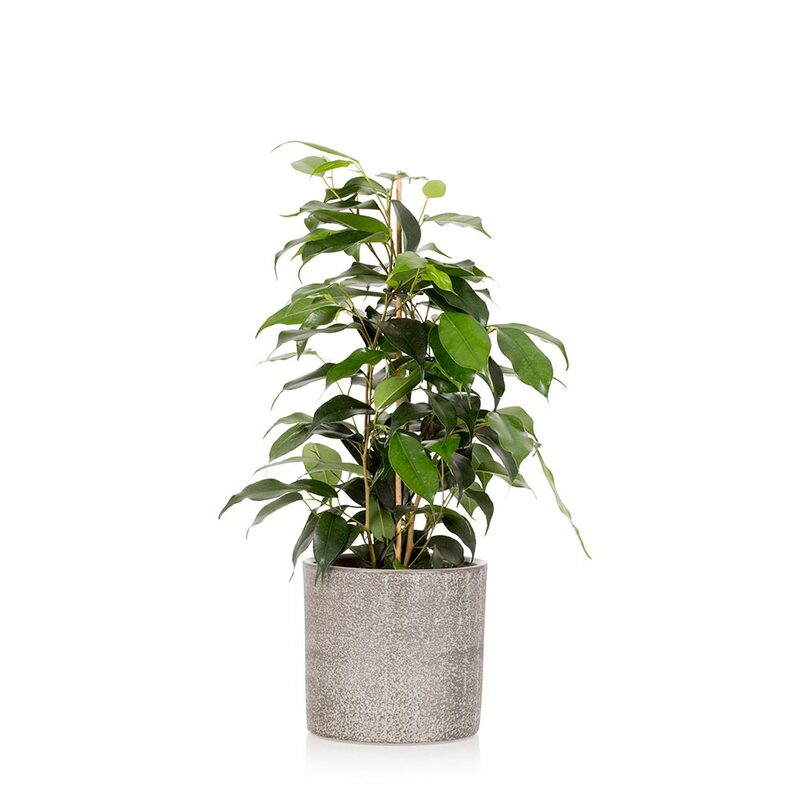 Give your Ficus a little bit of water every few weeks while it is still a bit chilly. Increase this in the Summer when things start to heat up. Once we do hit the Summer months, you can move this green beauty queen to an outside space, such as your patio. However, try to make it a gradual move so it isn’t a shock to its system (it doesn’t like massive change!). Just remember to keep this green beauty out of direct sunlight as too much sun can easily scorch its ever so pretty leaves. When it comes to styling the Ficus Benjamina, why not go for something like a Kalanchoe Thyrisifolia and Crassula. The smaller sizes and different shaped coloured leaves will create a lovely mix. At the same time, these won’t distract from the Ficus taking centre stage and being the main statement! Boston Ferns remind us of walks in the woods with bluebells and a plethora of wildflowers popping up around them. 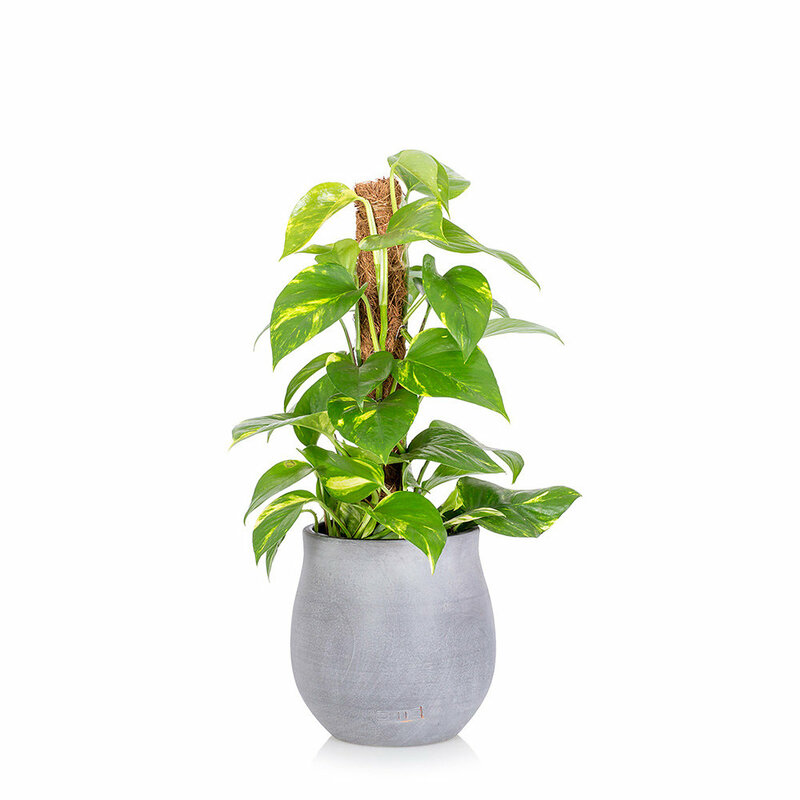 This makes them an ideal plant to create a natural, Spring-like feel in your home. They have such great volume as their feathery leaves grow out at all angles and will cascade down, looking simply beautiful. This means they give a fantastic pop of green to any space! 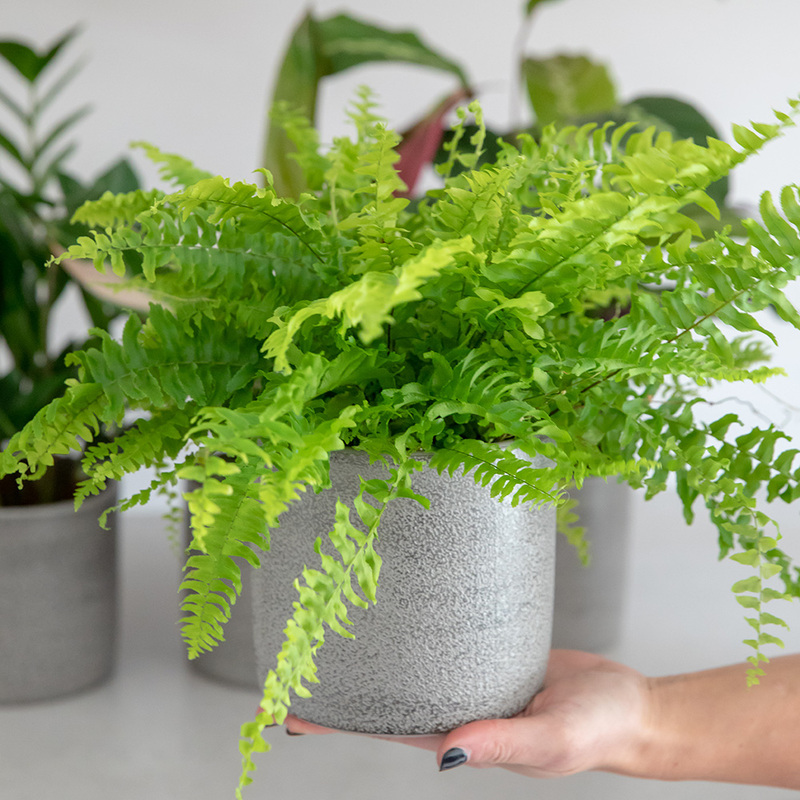 The Boston Fern is relatively new to The Little Botanical, but it has already become a firm favourite. This gorgeous plant does need slightly more specific care than many of our other plants, however don’t be scared, they aren’t too high-maintenance. Water once a week (keeping them moist but not soggy) and keep them away from heat sources like radiators or bright sunlight. They absolutely love humidity and so are great in your bathroom. 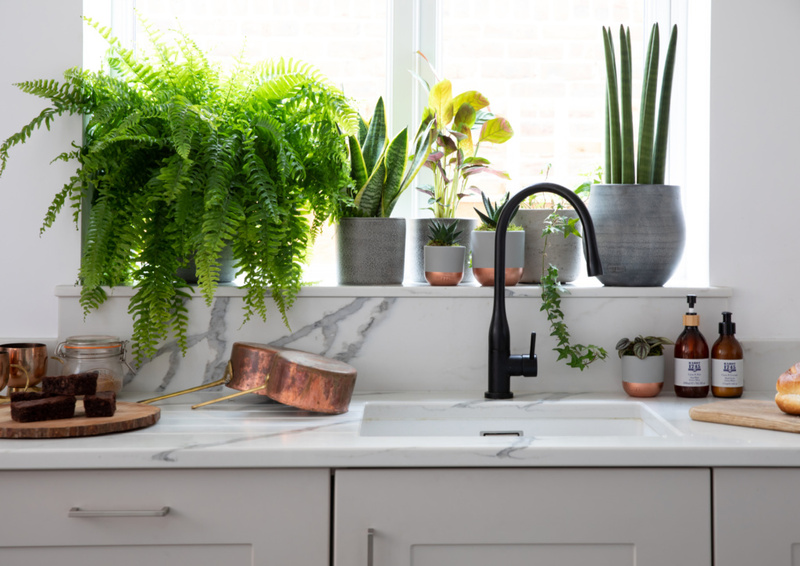 Bathrooms are often a room that get overlooked when it comes to plants, so this is a great opportunity to add some greenery and calm to your morning grooming routine! If you do decide you want to move this plant outside, wait until the Autumn when the weather cools down and the rainfall goes up. 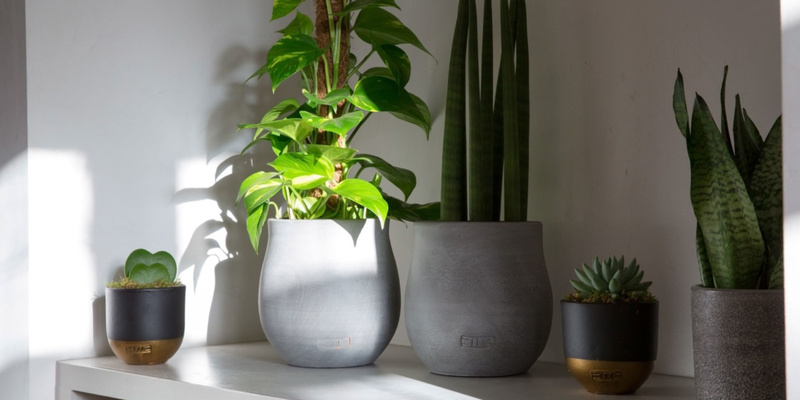 In our Little Botanical signature grey ceramic pot, they are a classic plant that can work with so many different styles. While they are currently enjoying a particular moment in the spotlight, they have never really gone out of fashion. In fact, they first became popular in the Victorian period! Pair them with a friend that gives a little flower to create that enchanted forest feel, such as a Mini Yellow Orchid. 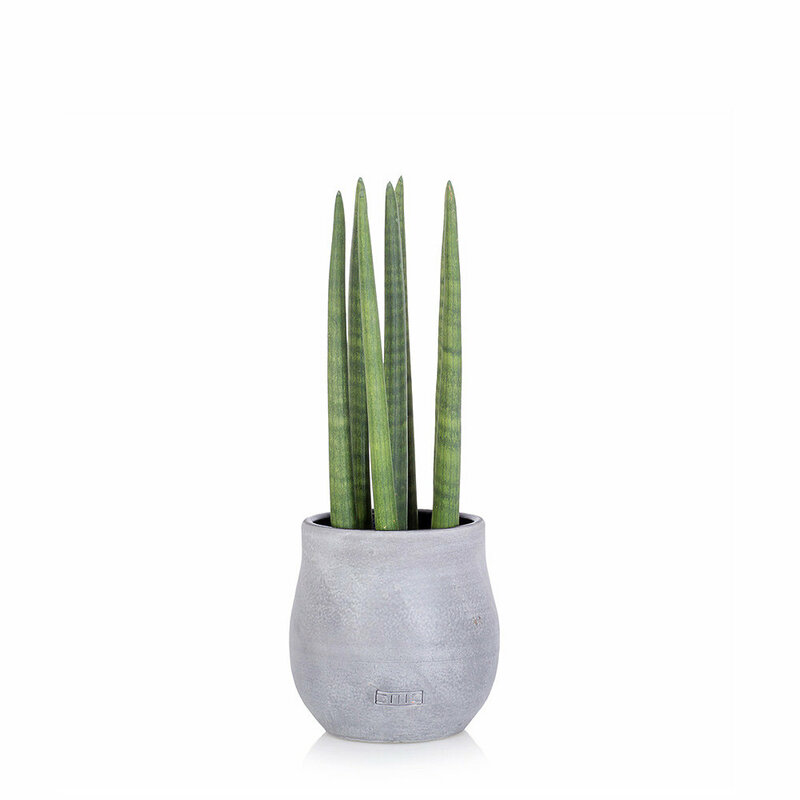 Alternatively, go for our Sansevieria Punk for more of a jungle, edgy look. With either, you are guaranteed to feel like you are bringing the outside in! 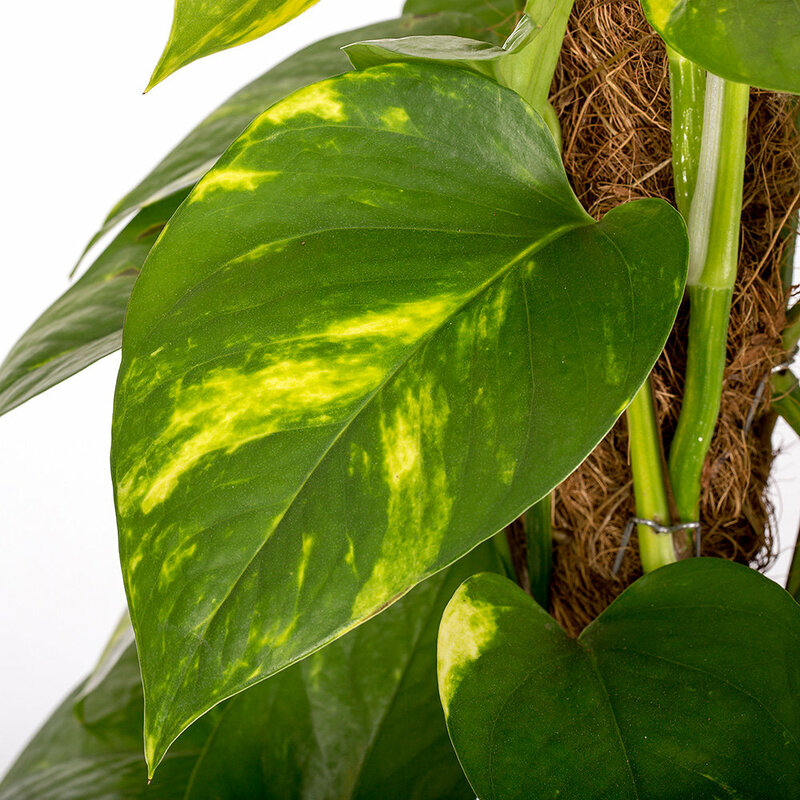 The fantastic Scindapsus Aurea goes by many other names such as the formal Epipremnum Aureus, a nickname of Golden Pothos and its most common moniker, Devil’s Ivy – named because it is so hard to kill! There are also different varieties of this plant, but this is one of the most popular thanks to its handsome good looks and easygoing nature. This rather large “little devil” needs a moss pole at the centre of its world, as without it, the leaves can start to creep, trail and cling, heading in the direction of light sources. That is perfect if you want a climber in your garden, but tricky if you want to keep it in one place in your lounge! The moss pole helps to direct the growth, encouraging this lively plant to grow onwards and upwards. The moss pole will gradually be covered by the plant. As a result, you will have a beautiful tall statement piece of architectural greenery to brighten up your home! One of our absolute favourite features of this plant are its leaves. They are a beautiful heart shape and a bright gorgeous green. They also have flecks and streaks of golden yellow adding a bit of sunshine to your house too! As mentioned, this Devil’s Ivy is very forgiving. You only need to give it some water around every one to two weeks. This is a pretty large plant so try watering from the base. Pop it in a sink with some cold water for 10 minutes to allow the water to slowly be soaked up. And if you didn’t think this plant was awesome already, it is another one of our absolutely amazing air-purifiers. If it’s good enough for our local boy Tim Peake and NASA, then it is definitely good enough for our homes! 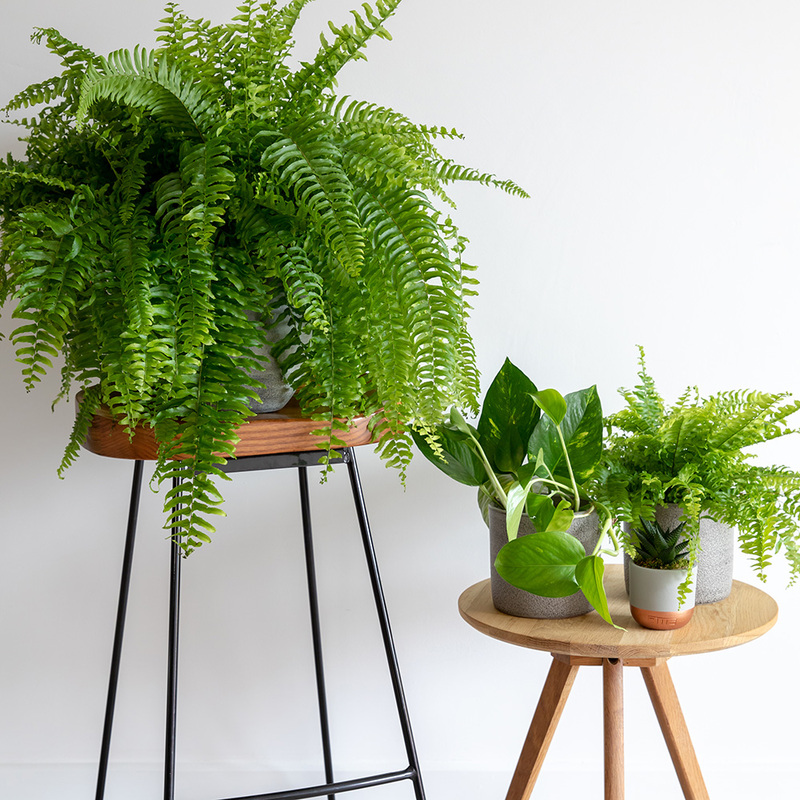 Go for a sibling plant gang and pair this with our smaller Devil’s Ivy that comes with a slightly different pot shape, and is the perfect trailing plant. 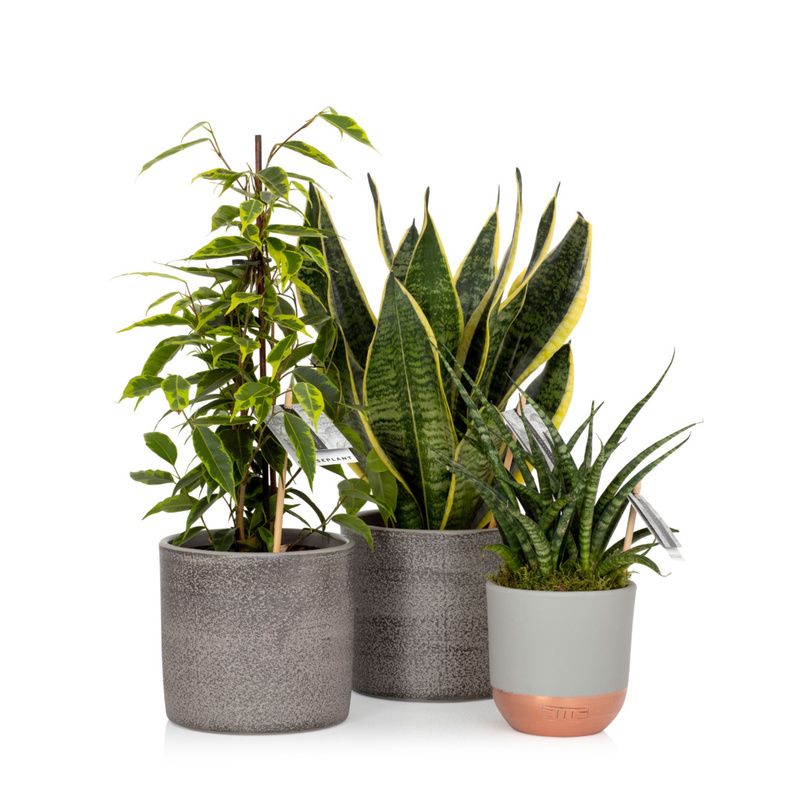 Or sit it alongside our Spikey Sansevieria, another great air-cleaning plant that also gives you that great height. 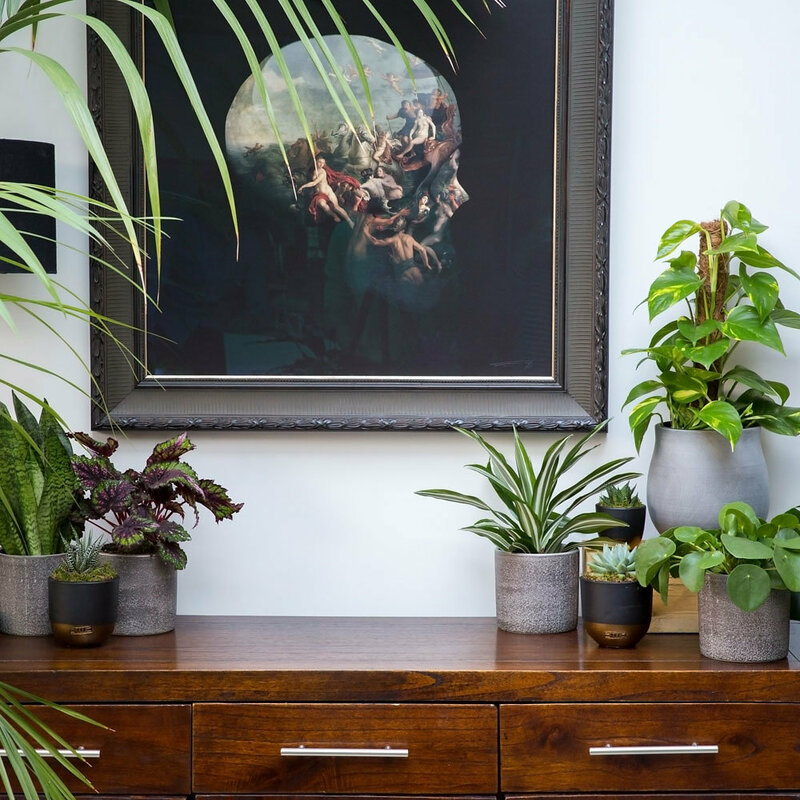 Don’t forget to share your plant gangs and plant shelfies – make sure you tag us so we can take a look. We really do love being inspired by what everyone does with their plants! We may also be in touch to feature some of our favourites in a future Hot House post.